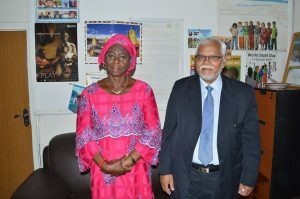 In reaching out to the larger society to build strong relations and develop programs that respond to industry needs and priorities, top officers of the University of the Gambia last week paid a courtesy call on the Honorable Minister of Health and Social Welfare of the Republic of the Gambia, Dr. Isatou Touray in her offices in Banjul. 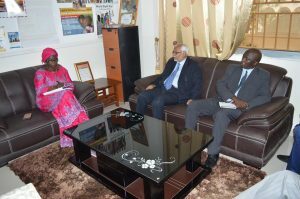 The visit provided an opportunity to further strengthen coordination mechanisms of degree programs in health, medicine and related areas offered at the University. 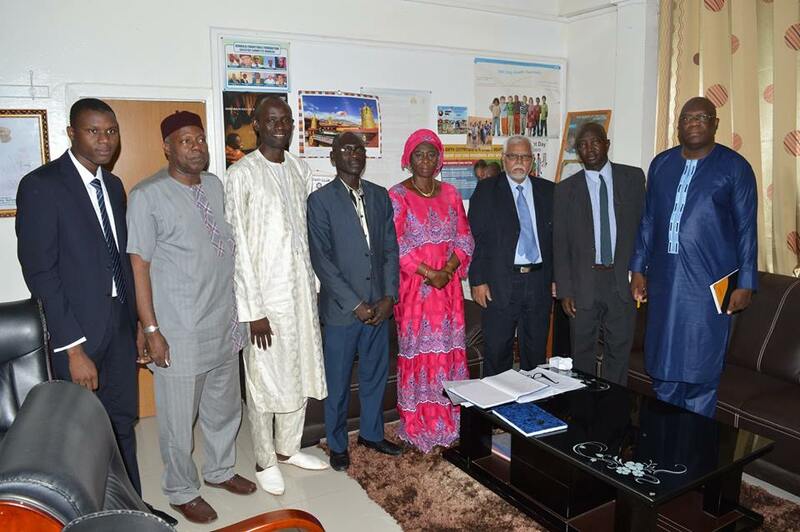 Various options were also tabled on how to assist the 29 Community Health Program graduates transition into another phase of their careers. 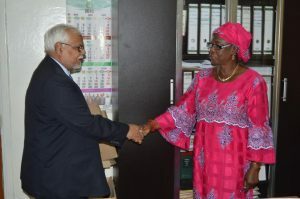 Whilst the Minister encouraged UTG to continue adhering to the highest standards of quality in its Medicine and Allied Health Sciences programs, she was requested to support, through her Ministry and other channels, the realization of the dream of establishing a full-fledged Teaching Hospital in the country. 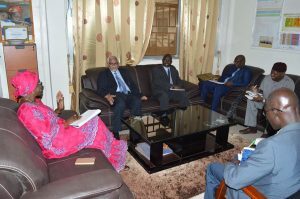 The Minister was also introduced to plans to start a new degree program at UTG on Dentistry and invited to support the initiative as it will help fill in gaps in the public sector which currently does not have any Gambian trained Dentist.